There are so many things I love about Rebecca's story and business. She didn't turn a profit until she had worked on her business for 3 years! Her business is missional. She hires women who have barriers to employment in Detroit, Michigan. She and her staff produce exceptional products. Isn't this encouraging, Mamapreneurs?! I think it's so easy to look at those ahead of us and assume their success came overnight. That's hardly ever the case. I love that Rebecca worked really hard for several years before her business became profitable. It encourages me to continue marching forward. Progress over perfection. 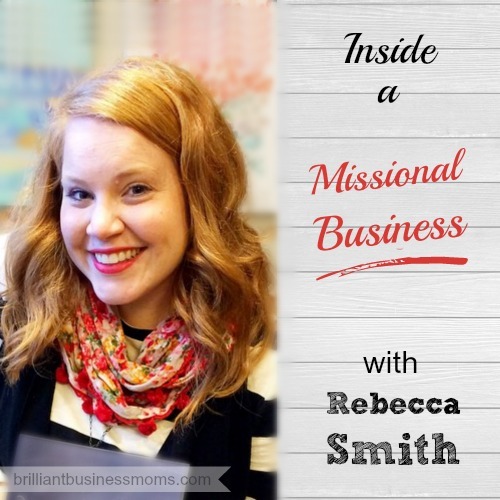 I love the fact that Rebecca's business is profitable and doing great, but it's also missional. Don't be afraid to take your own path, Brilliant Business Moms. Do what you're called to. Live with purpose. The rest will follow. Don't sacrifice quality to make a buck. When you create something great, you can stand behind your products and your prices with confidence. I'm only scratching the surface with this intro. Let's dig in! 16:22 – Wholesale versus Retail – Must we Do Both? 41:02 – Ladies & Gentlemen, The Future Owner of BLB! Rebecca describes herself as an accidental entrepreneur, because she never set out to start a business. It turns out that she absolutely loves it and has a knack for it too! Rebecca's bag journey, (as she calls it!) started when she and her husband moved from Savannah, Georgia to Detroit, Michigan 5 years ago. It was an intentional move because they wanted to live and serve in a diverse community filled with needs. Rebecca had just opened up her Etsy shop at the time and had just one child. Now they have 3 children and a much bigger business to run! Rebecca used two main strategies early on to grow her business. She worked for free. It was helpful that Rebecca's family wasn't counting on her income to support them each month. 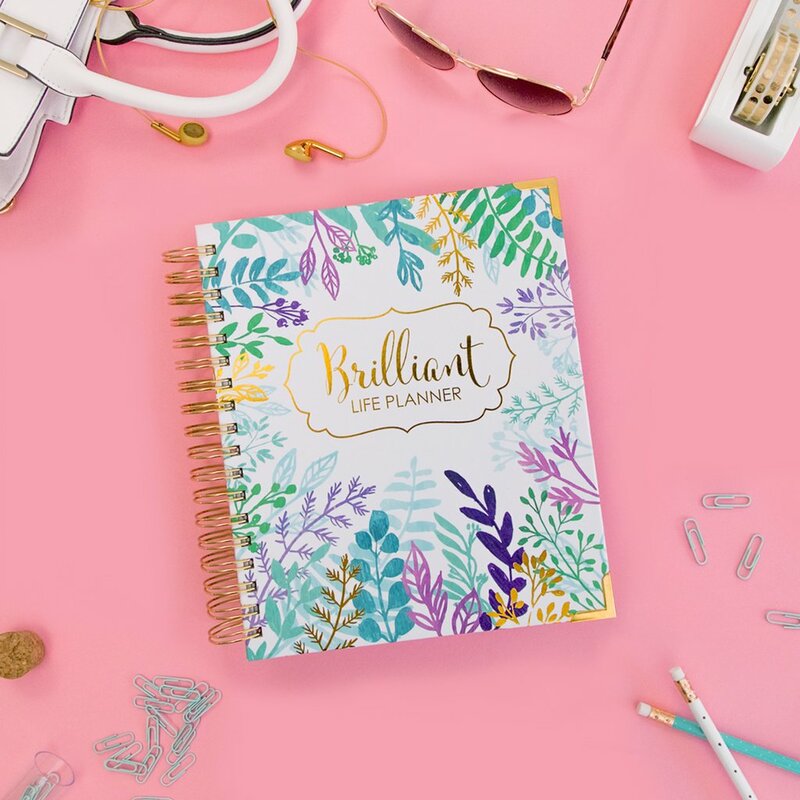 She was able to work for free as she figured out the basics of marketing, sales, and pricing her products. She used social media. Rebecca had already been blogging, so it made sense for her to start a blog for Better Life Bags. She was also quite into social media, so again, it was a natural transition to start talking about her products. Rebecca relied on her connections and working hard at social media early on. Her husband said that was ok at first that it didn't earn money and was just a hobby, but the business had grown to the point where it took up a lot of Rebecca's time. Rebecca had to decide if she'd shut it down, force it to be small, or she could choose a third option and take 6 months to figure out how to give herself a paycheck. 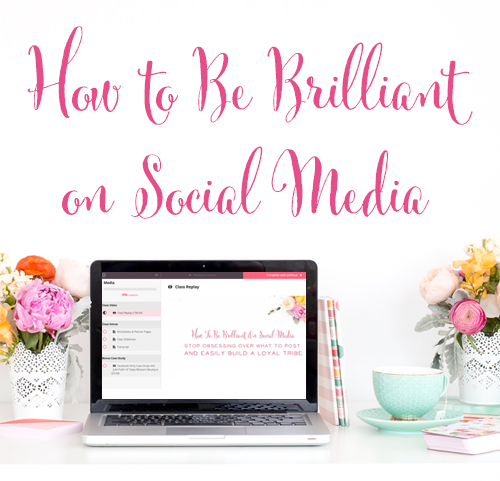 At this point, Rebecca dove head-first into using social media to grow the business. She intentionally sought out bloggers who had large followings that comprised her target customers. So for example, fashion blogs, style blogs, and mommy blogs were a great fit. However, based on her bag prices, she knew it wasn't a good idea to target frugal living or couponing blogs. Rebecca sent bloggers free product in exchange for a review. Her goal was to land about one new account per week, so overall she'd send out about 3-5 bags per month to bloggers for review. She wanted each review to feel organic and for the feature to be something that fit both brands really well. Her strategy worked! In 6 months she was not only able to pay herself well but also hire her first employee! Rebecca says that she made many of her best online friends in those early years of partnering with bloggers. They still help her out today. Their relationships aren't those of using each other, but instead they're genuinely friends who love to help each other out. Rebecca points to 3 main changes that led to a “nuclear bomb explosion of orders” in her business, as she says! Increased Product Quality. Rebecca wants to make sure that her products are exceptional. 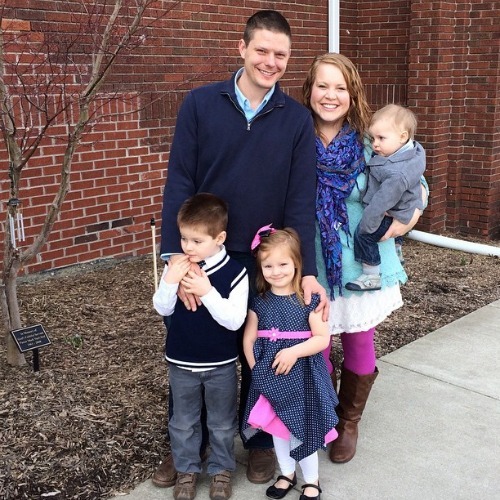 Even though she runs a missional business, she doesn't ever want it to feel like a charity. She doesn't want people to buy her bags just to be nice or because it's for a good cause. She wants every customer to be surprised and impressed with the quality of their bag. Made Products More Unique with Leather. One of Rebecca's original blogging partners actually suggested that she start using leather in her bags. Up until that time they were all made with fabric – even though they were custom for each customer. The leather really does set Rebecca's bags apart and increase the quality and durability of the bag. Partnered with More Bloggers. 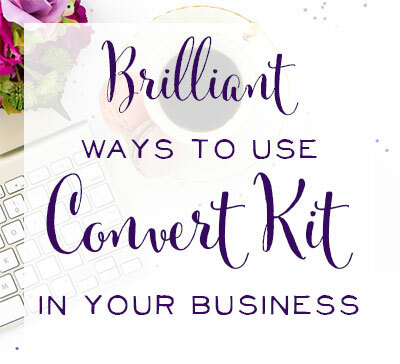 As we discussed above, Rebecca became much more intentional and focused on partnering with the right bloggers to have people constantly talking about and sharing her products. 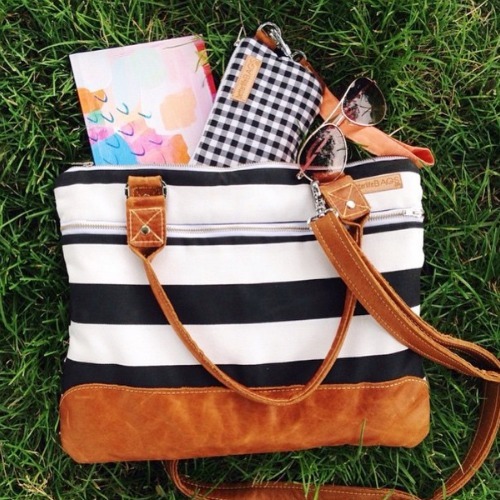 The Finley Bag from Better Life Bags. Isn't it beautiful?! Early on, Rebecca just looked around at prices for similar products on Etsy and pulled a number out of a hat. Her early fabric bags were $45. When the business got busier, and she realized she wasn't taking home a paycheck, she had to take a closer look at her prices. When she first added up all of the materials that went into each bag it was shocking to her! At that point, Rebecca did a lot of research online on how to price products. – Then add your labor with your hourly wage + the time to make and ship the bag. – Then times that total by 2 and you'll have your wholesale price. – Times that by 2 again and you'll get your retail price. When Rebecca priced her bags that way they were coming in at $350 to $450!! She was so discouraged by those numbers because she knew she'd never buy a bag that expensive, and she didn't want her bags to be out of reach for most Americans. With her current pricing formula, her most expensive bag starts at $225 but her products go all the way down to $18. The bags are still pricey, but it's something that's in reach that you can save up for. They have many customers who save for several months to purchase a bag. – That price is the bare minimum for pricing her products. – In their case for the few wholesale accounts they have – that's the price they charge the boutiques. – They never go more than times 2 from that point, but they try to get the price very close to times 2. 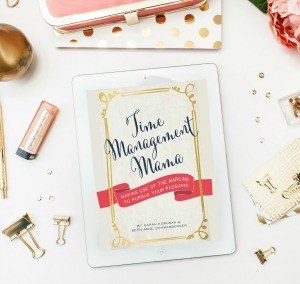 – Within that times 2 price is her manager's salaries, her office space, her internet, and her taxes at the end of the year – along with a ton of other overhead expenses. Rebecca believes in pricing your products well so that people can get paid well and you can do really good things with the money that's coming in. Rebecca's pricing for her bags works because they don't push their wholesale price. They cut out the middle-man in the form of many boutiques selling their products as well as the manufacturing middle-man since they make all their bags locally in Detroit. Rebecca says it's a mixture of science and math and also some experimentation. “Don't be afraid to change your prices,” she says. Wholesale versus Retail – Must we Do Both? Rebecca thinks that it's absolutely ok to not do wholesale. There's a lot of pressure for shop owners to pursue wholesale. Maybe they hear that everyone else is doing it, or it's the next step to grow their business. Boutiques may be starting to approach them to carry their products. But Rebecca can't think of one company that does both really well. Most companies have one that they focus on and put 80% of their efforts into. Pick which avenue you prefer doing. Do you enjoy marketing to the customer and dealing with them directly? Or maybe you don't want to market your products to the general public, so you'd rather just make really great stuff and approach boutiques and have them do the selling for you. It's up to you, but focus on one method of selling and do it really well. In her third year of business, Rebecca was running out of time to make all of her bags. She had three choices: Shut everything down, find a factory in China to manufacture the bags, or find women locally to make them. Rebecca remembered a woman they had met the first week they moved to Detroit. She was a recent immigrant from Yemen. Her husband worked at a gas station and they had 4 kids. The children all slept on mattresses on the floor and they were barely getting by.But this woman knew how to sew. Rebecca called her up and they worked together. At first she just did the insides of the bags. She did that so well that she started doing the outsides too. Every week Rebecca would drop off new materials and the woman would give her the completed bags. 6 months into her job, the woman brought Rebecca upstairs to show her something – she was able to buy bunk beds for her children with the money she made from sewing bags. At that moment, Rebecca realized what the power of this business could do for women in her community. They started intentionally hiring after that. They always had a better life aspect to the company. They used to give 10% of every sale in microloans through Kiva. A picture of the person that the microloan helped would go out with each bag. Now the women's names are written on a card and it says, “Your bag was made by…. ” The card tells their story and how they're able to better their lives through working at BLB. There are now 16 employees in the Better Life Bags workshop. Most of their hires have been through networking. The first woman they hired knew other women, and Rebecca knew women in their neighborhood who then referred more people. Rebecca even found one of her employees on the street. She was begging for money for bus fare so that she could donate plasma and get paid. She had four children to care for. Rebecca said, “Why don't you come down to our shop and I'll teach you how to cut leather and I'll pay you by the hour for the day.” 18 months later this woman is full-time in their office doing far more than cutting leather scraps! “Everyone has come to us who should be here. They've been brought to us by the Lord,” says Rebecca. Sarah had a great follow-up question for Rebecca. While her heart says “YAY!” her mind says, “oh my gosh, that's so risky!” She wondered if Rebecca felt that it was risky to hire some of the women she's hired. Rebecca had a great answer! Had you told her six years ago that she'd be hiring women from Detroit, Michigan who had barriers to employment, she would have run as fast as she could in the other direction. But it happened so slowly and gradually that she almost didn't know what she was getting into until things were already pretty well established. Now she looks back in amazement. Rebecca wants to be 100% business-minded and 100% mission-minded. She wants to make good business decisions, but she wants to do it in a way that honors and helps people. One of the ways they keep both in mind is by paying per piece instead of paying hourly. She doesn't have to micromanage her employees. The wage is based on $18/hour, and it's based on how long it takes Rebecca to make a bag at a focused pace. One of their seamstresses makes about $25/hour now because she's so skilled at making her bags and she's motivated to do well. 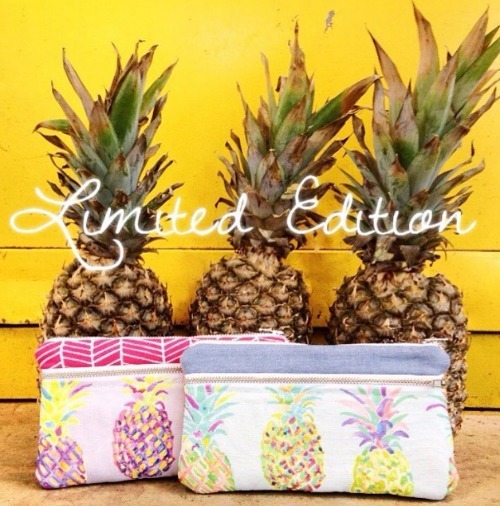 How cute is this pineapple print and photo? No wonder Better Life Bags kills it on Instagram! The past two summers, BLB has had the same single intern. It was a pretty safe choice for them because this woman was connected to people in the community and going to fashion school in Michigan. This year they decided to go all out for their internship program. They did a shout-out on Instagram saying they were hiring for unpaid internships. The interns would learn about small business, social media marketing, product development. They accepted applications and resumes, set a deadline, and then hired three interns. How did they decide on the interns? Rebecca and her three leadership staff all looked over each application. One great weed-out question was “what are you hoping to learn this summer?” They wanted to make sure what the interns understood what they'd be learning and that it would be a great fit for everyone. Another weed-out method was to stalking the candidate's social media channels. They wanted women who were mission-minded and coming to serve, love on their staff, and they wanted the interns to mesh and gel. And BLB did not want partiers. They looked at Instagram feeds and they narrowed the applicants in half just based on what their feed presented about themselves. It was eye-opening to Rebecca as an employer. What you put out into the world on social media truly matters. The interns are taking over BLB social media on the weekends and sharing “life as an intern” posts. They're using the hashtag #blbinterns. The biggest rule in hiring unpaid interns is that they can't be doing anything that someone should be paid for. So for example, Rebecca couldn't hire free interns to make products for her or run her social media accounts. The internship is really more about benefitting the interns and giving them a great learning experience. On the other hand, Rebecca finds it beneficial because she may have great people to hire in the future. She gets to see what they're like at work and what their skills are as they try their hand at different things. Rebecca has no formal business training, but she does think her previous degrees and work experiences have helped her a lot. When she first declared a major in college she was fashion merchandising. She had done window displays in high school and really enjoyed it. But 6 months into that major she decided that she really wanted to have a family and fashion merch involves a lot of weekends, nights, and holidays. Rebecca switched to social work next but soon realized that it was just a really difficult field. Finally she switched to elementary education and got her degree in that. She taught for 3 years. Now Rebecca has a business that combines fashion, social work, and lots of teaching! So she has no formal business training or design experience – just a love and a passion for it….and a willingness to read every Google article and listen to every podcast! Rebecca says that she has so much help. She doesn't do it all. She has an amazing operations manager who essentially runs the company. One of the best decisions she ever made was to stop working in the business and start working on the business. With an operations manager, Rebecca has the time to just be a mom when she's at home. She doesn't have to print off orders, ship bags, or make sure the seamstresses have everything they need. When Rebecca is at work, she has an awesome nanny who has the home front covered. She plays with her kids and does creative things with them. Rebecca works three full days per week and she's home the other two plus the weekends. Rebecca Smith with her adorable family. Better Life Bags does a great job on Instagram. One of the first important decisions they made in regards to the madness of social media was that they chose one platform to do well. They ignored their Twitter account, and Facebook is very second to Instagram. They posted 3-5 times a day, so they were always coming across her feed. They told their story well. They post 3-4 times per day – typically morning, late-morning, afternoon and night. They have several categories of things they post: their bags, photos from their customers, something that has to do with their mission such as quotes that relate to their mission, and behind the scenes photos of their workshop. 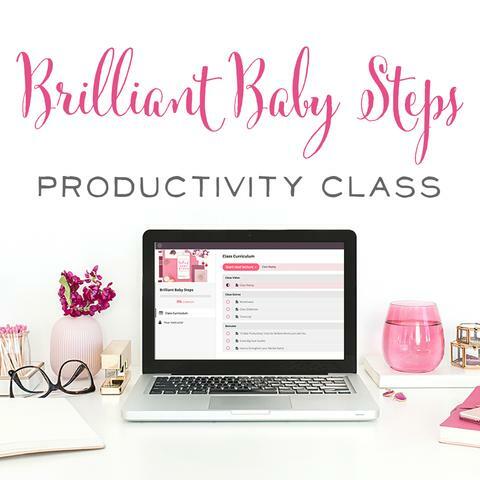 If you're looking to grow your Instagram following and sales, Hilary Rushford has an Instagram class that Rebecca highly recommends. 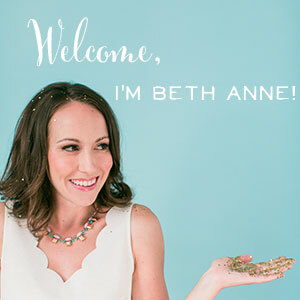 (Beth Anne does too!) Hilary will teach you how to ask important questions about the overall aesthetic of your Instagram feed. What do those 9 photos look like together? Do they look cohesive? Do they look messy? What will make someone push “follow” when they run across your feed? Note – the link above is NOT an affiliate link. We just think the class is great and we're happy to talk about it. I'm not sure when it opens again, but you can sign up so you'll know about her next webinar. Ladies & Gentlemen, The Future Owner of BLB! Rebecca's 4 year-old daughter cracked us up! Ladies and Gentlemen…. meet the future owner of BLB! Love businesses with a heart? Then you'll want to hear from these other business owners!